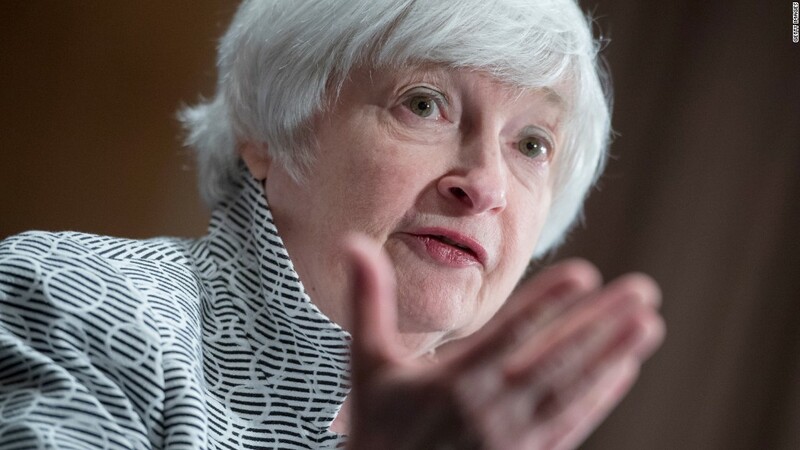 Will Trump reappoint Fed Chair Janet Yellen? America's job market is red hot. Only 222,000 Americans filed jobless claims for the first time last week, the fewest since March 1973. It's another sign of a healthy economy. Millions of Americans have been hired in recent years, unemployment is at a 16-year low of 4.2%, and wages might finally be starting to rise meaningfully. Emphasis on "might." The economy did lose 33,000 jobs in September, but that was mostly because of Hurricanes Harvey, Irma and Maria. Job growth is expected to rebound in October and later this fall. Until September, America had added jobs for 83 consecutive months, the longest streak on record. Claims for unemployment insurance are one of the indicators most watched by economists as a barometer of the job market. But collecting accurate figures on claims in Puerto Rico, the U.S. Virgin Islands and Florida is more difficult than usual because of the hurricanes. Much of Puerto Rico is still without electricity. Still, the overall picture is bright. When unemployment peaked at 10% in 2009, shortly after the Great Recession, initial jobless claims were over 650,000.